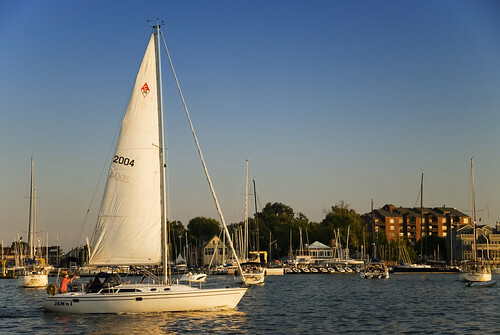 Sailing into Annapolis Harbor. Taken from the Naval Academy campus. 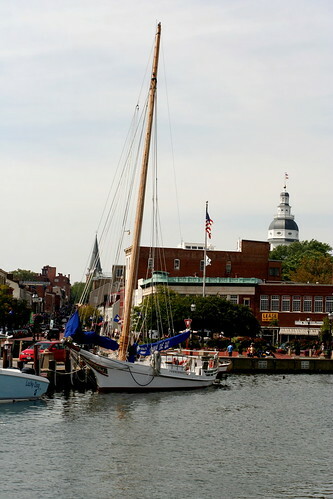 Looking uphill from the docks in Annapolis, MD.